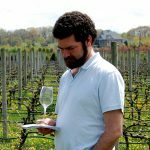 Yesterday, the European Union published a press release saying it had reached agreement on rules governing organic wine, meaning that instead of just saying “made with organic grapes,” wines made under these rules will now be able to bear the official appellation of “organic wine” on their labels. 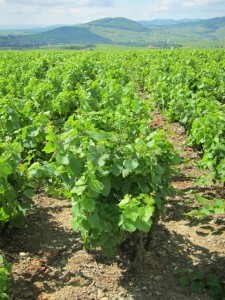 The rules, which have been adopted by the EU’s Standing Committee on Organic Farming, and will be published in the Official Journal over the next few weeks, before becoming law, limit the number of additives allowed and restrict winemaking practices, forbidding some of the most highly interventionist techniques. 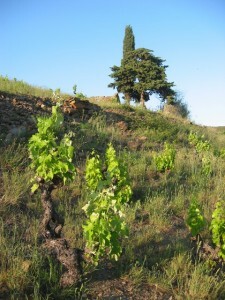 As the regulations indicate: “This applies to the concentration by cooling, the dealcoholisation, the elimination of sulphur dioxide by physical process, electro-dialyses and the use of cation exchangers as those oenological practices do significantly modify the composition of the product to the point that they may be misleading as to the true nature of organic wine.” Other practices like heat treatments (heating the fermenting wine to 70°C/160°F), reverse osmosis and “the use of ion exchange resins” will also be reexamined before August 2015, with the objective of phasing them out or restricting them further. Additions of things like sorbic acid are forbidden, use of natural additives derived from organic raw materials is encouraged “if available”, and last but not least, maximum levels of sulfites are significantly lower than for conventional, non-organic wines. Maximum levels of SO2 in European organic wines will be 100 milligrams per liter for red wines and 150 milligrams per liter for whites and rosés, whereas conventional maximum levels in Europe are 160 milligrams per liter for reds and 210 milligrams per liter for whites and rosés. By comparison, the maximum legal level of added sulfites in the United States is 350 milligrams per liter. Another point, for European wine producers, is that the organic rules in Europe remain significantly different from US rules on organic wine, which notably forbid any use of added sulfur, an approach deemed excessive by many. How that will affect the labeling of European organic wine in the US market remains to be seen. Good that we can now call an organic wine ‘organic wine’ on the label, instead of just ‘made from organic grapes’ which always sounded like it implied that the wine making was not certified as organic!